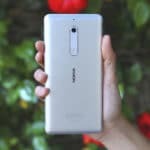 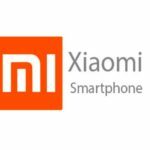 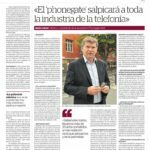 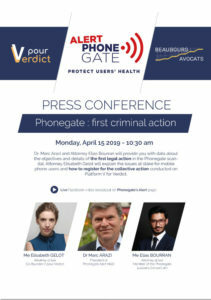 After several months of work and reflection, we are launching the first criminal action in the context of the Phonegate health and industrial scandal. 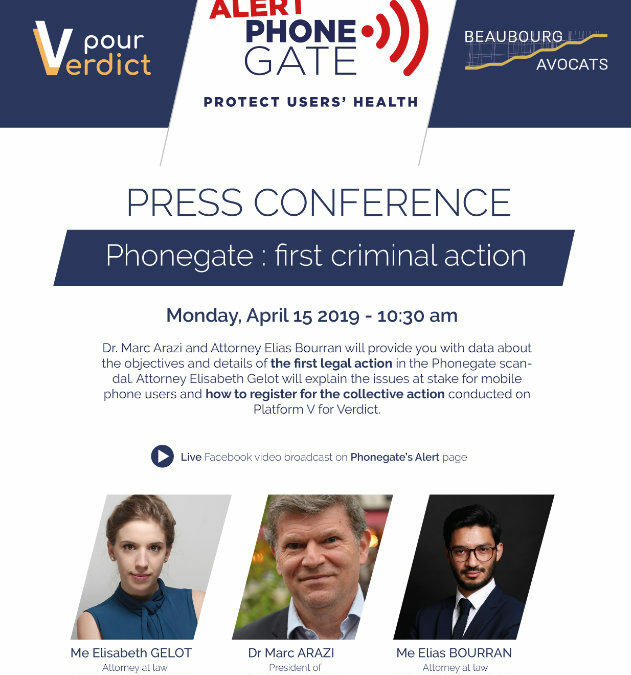 A press conference will be held in Paris on Monday, April 15, 2019 at 10:30 am in the presence of attorney Elizabeth Guélot, Co-founder of Platform V for Verdict, attorney Elias Bourran, member of the Phonegate lawyers’ consortium and Dr Marc Arazi, President of Phonegate Alert. 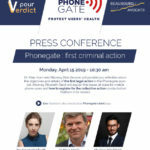 The meeting will be broadcast live on Facebook video on our Phonegate Alert page. 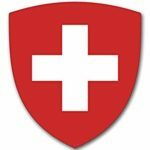 Thank you in advance for your support.